If you’re heading back to work and plan to put your child in daycare, it can be a tough transition for both of you. 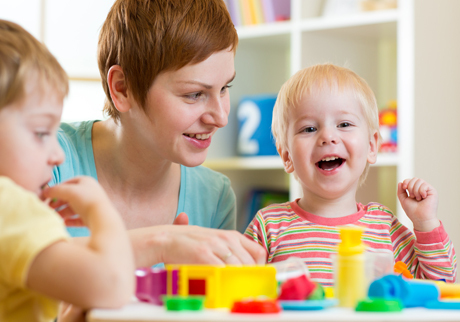 Here are some expert tips to help ease your child’s move into daycare. Sometimes, the older your baby is, the harder it can be to drop him off for the first time, says Martha Friendly of the University of Toronto’s Childcare Resource and Research Unit. For one thing, toddlers going into daycare can be more verbal about their feelings than younger babies might be. “It really rips your heart out when you leave a toddler who says, ‘Mommy, Daddy, don’t leave me,’ and is holding his hands out to you and crying,” she says. This is why it’s important to make the transitiongradually. Friendly strongly recommends a phased-in introduction to any daycare arrangement: Start with a visit to the daycare with your toddler, then leave him for short periods of time, and gradually extend the time you are away. “It will be easier on both of you,” she says. Provide comforts for your child. Bottles, pacifiers, blankets or other “loveys” may all help him cope with the separation. Be patient. Friendly says toddlers can take four to six weeks to adjust to being cared for by someone else. Accept that your caregiver won’t do everything the same way you would - and that’s OK.
Don’t feel guilty about cutting corners where you need to. When you pick your child up from daycare, it’s okay to spend time with him and it’s important for both of you – housework can always wait. And provide comforts for yourself. Feel free to call and see how your toddler is doing – even if you just left ten minutes ago. And be sure to use your lunch hour to relax and unwind a little – because there won’t be much time for relaxing at the end of the day!